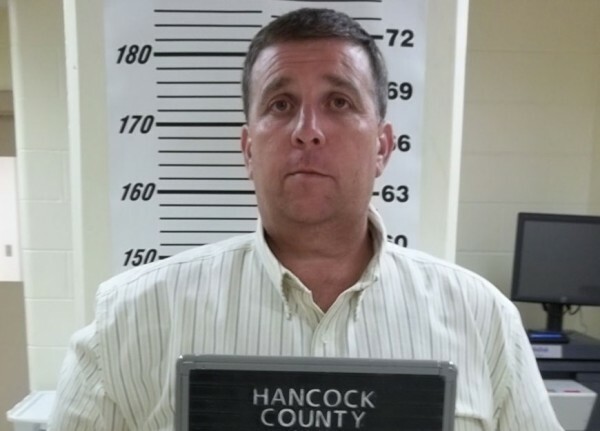 ELLSWORTH, Maine — In the wake of his arrest last week on drug trafficking charges, a well-known local businessman is stepping down from his position as chairman of the local YMCA. Patrick C. Jordan, 43, president of local construction firm R.F. Jordan & Sons, was arrested June 20 after police say he bought dozens of oxycodone pills from a woman in the parking lot of a High Street motel. Police received a tip in advance of the alleged transaction and stopped and searched Jordan’s pickup truck after Jordan and the woman, Julie Edwards, parted company. According to Maine Drug Enforcement Agency, police found in the truck 87 30-milligram oxycodone tablets, which have a total value of $3,500, and $4,495 in cash, which they believe is the proceeds from the sale of drugs. Jordan and Edwards, 47, each were arrested on charges of unlawful trafficking in scheduled drugs, a class B felony that could result in a maximum sentence of 10 years in prison and a $20,000 fine. Jordan and Edwards each bailed out of Hancock County Jail in Ellsworth later that same day. Jordan has been a well-respected member of Ellsworth’s business community for several years. In 2006, under his leadership, R.F. Jordan & Sons received the Top Drawer Award from the Ellsworth Area Chamber of Commerce. In 2009, Jordan and his wife gave $100,000 to Maine Coast Memorial Hospital in Ellsworth to put toward construction of its new emergency care facility. R.F. Jordan & Sons employs approximately 60 people, according to the firm’s website. The company, which Jordan began running in the 1990s, was founded by his father. In May, it was selected to lead the removal of the Great Works dam in Old Town, which got under way earlier this month and is expected to wrap up in November. In a statement released Tuesday by local attorney Peter Roy, who is representing Jordan, R.F. Jordan & Sons indicated that Jordan is stepping down from the board of directors of the James Russell Wiggins Downeast Family YMCA but will continue to support the organization. According to MDEA, Jordan is scheduled to make his first appearance in Hancock County Superior Court on the trafficking charge on Sept. 18, 2012.